The paperback version is available here and in your local bookstore. For more information and for articles, visit the book's own website. 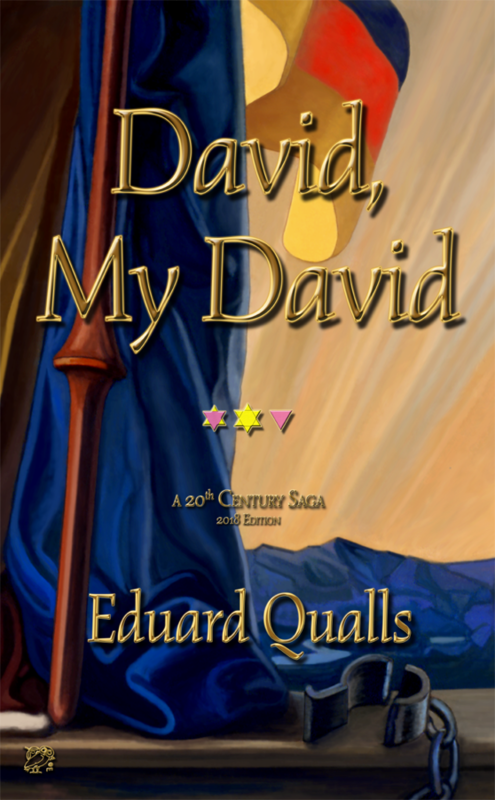 David, My David is the extensive saga of the life, the victory over terror, of one Eduard Gottfried Meyer. A German keyboard prodigy born in 1921, Herr Meyer tells of a life extending from those early, halcyon-years through the the inter-war period, the ravages of the Hitler Time and World War II and beyond, into post-war, neglectful Europe, and an increasingly bipolar America, ultimately to reach the final year of this journey, in 1995. On an odyssey marked by joy and sadness, terror and redemption, he survives on the personal strength he learns from family, from their faith in and dedication to others. Herr Meyer’s life courses from Singhofen, his birth-village north of Frankfurt am Main, through Europe and pre-World War II Germany. After the war, he takes you to Sweden and back to Germany before excursions into Texas.